Your life is a series of choices. If you choose to do so, you can do great things with your life. Things that matter. Things that positively influence the lives of others. Even things that will be changing lives long after you’re gone. You may not even be aware of the potential that you have, but it’s there. In fact, you are the only one who can stop you from achieving it. It’s a choice, and this career planning workbook is designed to help you make that choice in a way that honors God. 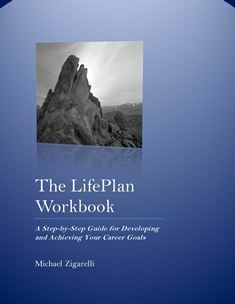 More specifically, The LifePlan Workbook is a step-by-step guide that will walk you through the process of identifying and pursuing the career paths for which you are gifted. We are currently making this 20 page Workbook freely available for your personal or classroom use. All we ask in return, if you find the Workbook to be helpful, is that you tell someone about the 9 to 5 ministry and maybe send us some feedback at christianity9to5@hotmail.com.